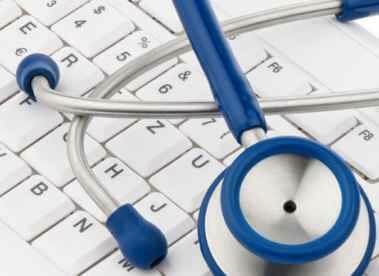 Interested in obtaining an online master's in healthcare administration? This article provides basic information along with our selections for the best degree programs in this field. In compiling our ranking of the top ten accredited online Master's in Health Administration degree programs for 2014, we sought to include high-quality programs at nationally ranked institutions, in a variety of cost categories ranging from affordable to expensive. Executive Summary: The online master's in healthcare administration program at CSU: Global Campus strives to prepare students to lead in the fast paced, ever changing world that is healthcare. The program focuses on teaching concepts, and broad strategies that will be adaptable to increase the student's ability to adapt with the shifting landscape. Courses include Healthcare Models Across the Globe, Effective Organizations: Theory and Practice, and Healthcare Quality, Regulation, and Risk Management. Tuition: CSU offers the MHA for one of the affordable prices available to residents and non-residents alike at $500.00 per credit. Unique Features: Colorado State University is ranked #134 among national universities, and #67 among top private schools by U.S. News and World Report. Executive Summary: One of the top public schools in the country, Penn State University has been offering distance education since the late 19th century, was one of the first major universities to embrace online education, and has been steadily growing the number of programs offered online for years. In the MHA in Health Policy and Administration program at Penn State students will experience classes like, Health Services Organizational Behavior, Health Care Operations Management, Managerial Epidemiology, Health Care Marketing, and Health Law among other crucial courses that will prepare the student to fill a position of authority in the healthcare industry. Tuition: The Cost of the online MHA in Health Policy and Administration program at Penn State is $930 per credit. Unique Features: Penn State University is ranked #46 among national universities, and #13 among top public schools by U.S. News and World Report. Executive Summary: The online MHA program at Ohio University features three entry points per year, a fully online interactive delivery system, and consists of 12 courses. The program is for healthcare professionals seeking to supplement their healthcare knowledge with business acumen; and is designed to accommodate the busy schedules of working professionals. Tuition: Residents of Ohio pay $654.00 per semester hour, non-residents pay just a little more at $673.00 per semester hour. Unique Features: Ohio University is ranked #131 among national universities, and #65 among the top public schools in the United States by U.S. News and World Report. Executive Summary: The University of Cincinnati is a public research university that has been expanding its online program catalog. The program is designed to those that aspire to leadership positions in the healthcare industry to achieve that goal. The program consists of a broad selection of both healthcare and business courses that will provide the student with every tool necessary to be an effective leader in healthcare. Tuition: Ohio residents pay $873.00 per credit while non-residents pay only slightly more at $888.00 per credit. Unique Features: The University of Cincinnati is ranked #139 among national universities and #70 among top public schools by U.S. News and World Report. Executive Summary: The MHA program at LSU-Shreveport consists of only 10 courses that take a broad spectrum approach while striving to include all of the crucial tools that will be needed by the future leaders of healthcare. Courses consist of Healthcare Law and Ethics, Healthcare Informatics, Healthcare Economics, Healthcare Strategic Management, and Healthcare Policy. Tuition: Residents pay $3,702.48 total for 15 credits, making it one of the cheapest online master's in healthcare administration options for in-state residents. Non-residents pay $9,683.76 for 15 credits. Unique Features: The MHA program at LSU Shreveport is one of the only, if not the only, AACSB Accredited MHA programs available online. Executive Summary: The University of Memphis has just begun to initiate an online program for the Master of Health Administration degree. The program is especially affordable for residents of Tennessee, though the tuition rates for non-resident students of the online program hasn't been announced yet. The online program is being designed to provide all of the quality of a traditional education with the benefit of being able to complete your studies in your own location on a flexible timetable. Tuition: Residents currently pay approximately $535.00 per credit at 18 credits in the normal program, non-residents currently pay approximately $1,156.00 per credit in the normal program. Unique Features: The current program at the University of Memphis is CAHME Accredited. Executive Summary: Saint Joseph's is a Roman Catholic school in the Jesuit tradition. The MHA program acknowledges that they key to improving patient care is training caring, competent administrators that will be put into positions where they can make a positive impact on the field. The MHA program has two specializations from which students may choose, Informatics, and Health Care Ethics. Tuition: The tuition comes down in the middle range of those on this list, at $774.00 per credit. Unique Features: Saint Joseph's University is ranked #8 among northern regional universities. Executive Summary: This program focuses on both the management and administrative aspects of healthcare leadership. Students will have access to core courses consisting of Organizational Theory, Intercultural Communication and Leadership, and Research Methods for Healthcare Managers, in addition to the courses dealing with general management subject matter applicable to multiple fields. Tuition: The cost is just $428.00 per credit for residents (among the cheapest degree in this list), and $659.00 per credit for non-residents. Unique Features: The program features a capstone project designed to help students learn how to apply the information in their classes to real world situations. Executive Summary: The MHA program at Bellevue University is designed to take full advantage of the online format. This will allow students to customize their academic schedule to account for their work schedule. Bellevue doesn't just want to help students advance in their career, though that is definitely one of the results of earning this degree. Bellevue wants to train compassionate, responsible administrators that can change healthcare for the better. Tuition: The cost of the MHA program at Bellevue is $485.00 per credit, putting it among the cheapest programs of its kind. Unique Features: Bellevue has the unique distinction of being the most affordable degree on this list. This degree program is very sought after and still rare in the online0only format. Bellevue wants to make sure that students who can't afford a hefty price tag still have access to a top-notch education. Executive Summary: This program is designed to provide health care professionals with the requisite education to qualify them for a position of leadership in the health care industry. The program features courses like Management and Strategy, Quality Improvement, Leadership and Ethics, and Law and Regulation. Tuition: At $1,248 per credit hour, this EMHSA program at GWU isn't among the cheapest online master's degrees in healthcare administration. Unique Features: George Washington University was ranked #51 among national universities by U.S. News and World Report but was changed to "unranked" status due to a reporting error on one of their statistics. Other related degrees include the following. The healthcare industry is fast-paced and never stops changing. This can make the prospect of earning a degree in the healthcare industry daunting because often students must relocate or take time off from work to keep their work schedules from getting in the way of their education. But taking time off in the healthcare industry is difficult because it becomes easy to fall behind as the industry evolves. This is why more and more colleges and universities are offering high-quality masters in healthcare administration prorgams online. The online format is easily constructed in such a way that allows students to continue working full time while earning their degree. This situation is the best of both worlds as students continue to accumulate real life experience while gathering the tools they need to advance in the field. As always, we recommend that you use this information as a starting point for your own in-depth research into online MHA degrees. Always check accreditation status before making your decision. It can also be helpful to get the perspective of recent graduates of the programs in which you're interested. This concludes our recommendations in the top online master's in healthcare administration degree programs.